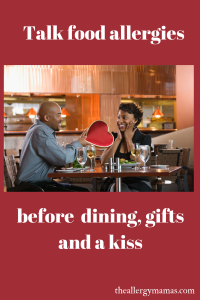 Long before a kiss goodnight, tell your Valentine about your food allergies. A simple question about what was eaten before a smooch may dampen the mood. But, a potential reaction can make your health and the date get real complicated. Food proteins and particles from common allergens can stay in saliva for hours after eating. If you’ve already eaten an offending allergen, pucker up and wait. According to the American College of Allergy, Asthma and Immunology (ACAAI), to prevent an allergy reaction, the non-allergic person should brush his or her teeth, rinse his or her mouth, and avoid the offending food for 16 to 24 hours before kissing. Sip your own drink. Sharing a glass of wine or champagne means sharing sips of saliva containing the allergen, which increases the chance of a reaction. Check the Chocolates. Boxed hearts filled with assorted chocolates can lead to heartbreak if you don’t read the labels. Avoid items with labels that state “may contain” or “also manufactured in a facility that processes” any of the common allergens – peanuts, tree nuts, wheat, eggs, milk, soy, fish and shellfish. There are several brands of safe sweets and you can also visit SnackSafely guide that list allergen-free candies and snacks. 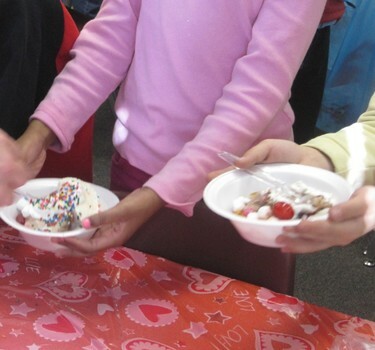 Try making your own safe Valentine treat. Check out the recipe for these Nut free Truffles – delish! Gifts of jewelry and perfume may cause a stink. Nickel allergies and chrome-plated and 14K and 18K gold containing nickel may irritate the skin. Strong fragrances may also trigger allergies. 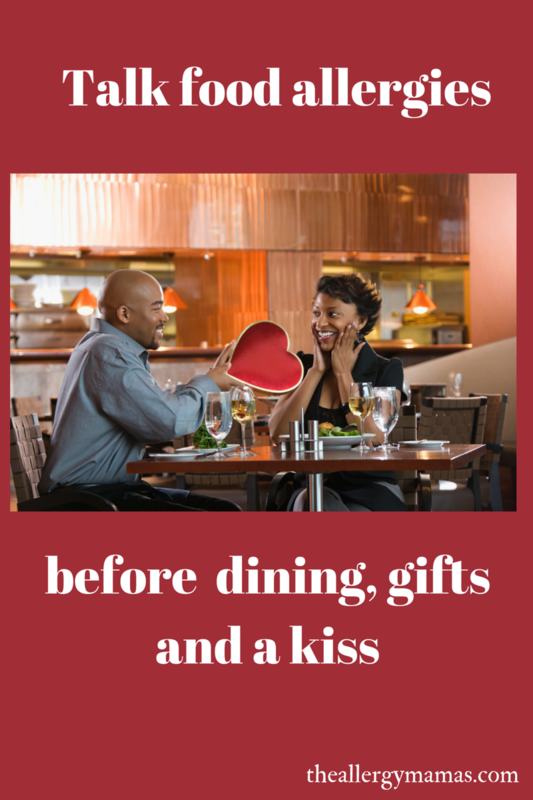 Use little or no perfume or cologne on the date and avoid giving fragrance as a gift. Roses are a girl’s best friend. According to ACAAI, roses, begonias, daffodils, geraniums, crocus, columbine, clematis and cactus are among flowers that carry little pollen compared to other flowers. Avoid sharing meals. Sharing a plate or utensils is another reaction risk. Put a sample of your meal on a separate plate using a clean utensil. When dining out, remember to inform the server, chef and/or restaurant manager about any food allergies when making reservations, upon arrival and when placing an order. By the way, the same kissing rule applies to your little food allergic Valentines. My 9-year old daughter has no problem asking the “what did you eat today?” question. I hope she continues to take charge of her health when she begins to date. Wait, did I just say that? It is too early to fathom and scary to imagine. The reality is young teens and adults will have to independently navigate life, managing food allergies in friendships and relationships. An online dating network, Allergic Attraction, may help ease the awkwardness of the food allergy talk early in the dating game. Targeting primarily college students, the site promotes a social climate among friends managing food allergies. Also featured are social discussion forums focused on the common eight allergens. Considering the recent growth of food allergies among children and adults, chances are a perfect love match may just be an allergic one. Have a safe Valentine’s Day! The holiday season is a time when we gather over a feast or attend parties with friends and loved ones. These times can be stressful. It takes extra steps of preparation for the host and anyone managing food allergies, but spending times with others this season can be worthwhile. Here are a few tips to help you safely eat and enjoy social events this holiday season or at any time. Check for food allergies among guests – Request guests inform you about food allergies, hopefully in advance. Encourage guests to bring allergy friendly or check for recipes – There are tons of allergy-friendly recipes out there. 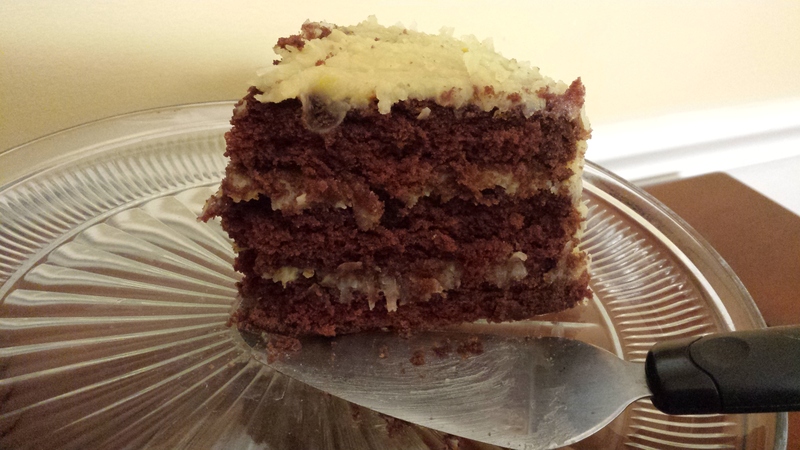 For starters, check out the latest issue of Allergic Living , gluten-free holiday recipes at Food and Wine and Sterling Sweets. For snack starters, like chips , crackers and kid-friendly appetizers, the Snack Safely Guide is updated frequently for nut-free, peanut-free and egg-free options. Keep food labels – Save labels of store-bought food dishes, desserts, and spices for food allergy guests to read. Display allergen or allergen-free food place cards. You can create your own using Avery’s Small Tent Card template. Potluck Events – When the hands that prepared the meals are unfamiliar for your guests with food allergies, don’t feel insulted if they prefer to not eat. Also, don’t take offense if a person with food allergies prefer to not taste test or eat off a loved one’s plate. It’s for their own safety and they choose to focus on the social aspect of being with friends or family. Avoid cross contact Traces of allergens can be unseen or ‘invisible’ on a utensil or server, but any amount can cause an allergic reaction. Thoroughly wash and clean servers or utensils in between and when handling allergen-free foods and foods with known allergens. Separate display locations and labeled servers typically work best. Distinguish food allergy friendly items – Offer to serve food allergy guests first. 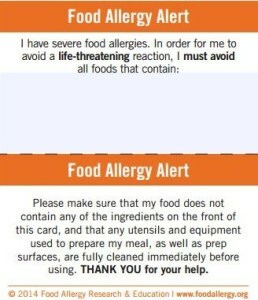 Introduce the chef or caterer to any guests with food allergies. Label serving utensils for allergen-free dishes or keep in a separate serving area to avoid cross contact risks. 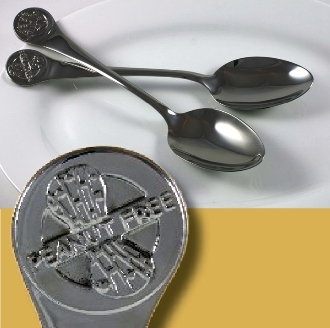 Gluten-free and nut-free stainless-steel serving spoons available by The Food Allergy Kitchenware Co. Inform caterer or restaurant about food allergies – Review menu items and alternatives. Check out the cooking practices and whether food allergy friendly meals are cooked on a different grill; prepared in a separate area; and the types of cooking oils used (or shared) to prevent cross contact. Also check to see if all dishes or ingredients are in-house or bought in from an outside supplier. Inform host, caterer or restaurant about your food allergy – Tell your host about the specific allergens to check for on labels. When dining out, also inform the restaurant server or caterer. Check out a few apps and websites available to help guide your dining decisions include AllergyEats, SafeFARE, a tool by FARE (Food Allergy and Research Education) developed in partnership with the National Restaurant Association and MenuTrinfo. Other special diet apps on the market, including biteappy, and Suggestic. Inform the server, manager and/or chef at every visit; even if you frequently dine at the location as recipes and practices can change. Offer to bring allergy friendly alternatives or provide recipes – Bring or arrange to ship any dishes and share allergy friendly recipes . Check for retailers that may offer allergy friendly ingredients or dishes. Request to check food labels Check for labels that state “contains” or “may contain” any of the allergens; “manufactured in a facility that also processes…”; Call or email the manufacturer with any specific questions. Ingredients may change without warning, so read the labels every time before you consume to avoid a potential reaction. Food Stations and Potluck Events: Check the setup and the serving utensils to watch for cross contact. Bring your own food and request to keep in a separate area; eat prior; or arrange to eat afterwards. All of these options before social events we try to decide before an event with my daughter’s input and comfort level. For us, it’s important we continue to learn how to best manage food allergies socially, educate our daughter and those around us on how we can still safely eat and spend time together. It is an ongoing journey . 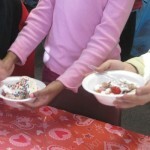 Kids can be fickle about food preferences; allergic or not. Those with food allergies sometimes prefer to not eat at all and just see their family or friends; others may not be in the mood to deal with anyone or the extra cautionary steps. Be patient, understand their frustrations and don’t pressure them “to eat” while at a social or family event. Trust instincts of your children and your own. As a parent, it is ultimately up to you on having the best judgment on what gives you and your family peace of mind to protect yourself and your children; yet still spend time with friends and family. It is possible. You may feel compelled to avoid social events with family or friends because it is too risky or those around you may not be as understanding about the seriousness of food allergies. This is understandable and there is a tough, gray line between your quality of life and protecting a life. Hopefully with greater awareness and education about food allergies, families can enjoy food and fellowship safely. Start with sharing this guide. It may help to create a dialogue about the precautionary steps that are taken into account by any party host and by those with food allergies in order to stay protected when dining at home, restaurants or at social events. Always carry your medications, including two epi-pens (epinephrine auto-injectors). 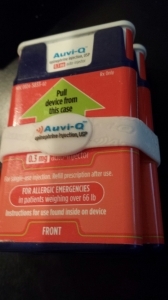 Also bring your epi-pen trainers with you, such as Auvi-Q or EpiPen, and show a friend or the party host on how to use in case of a sudden anaphylactic reaction if you are not able to self-inject. 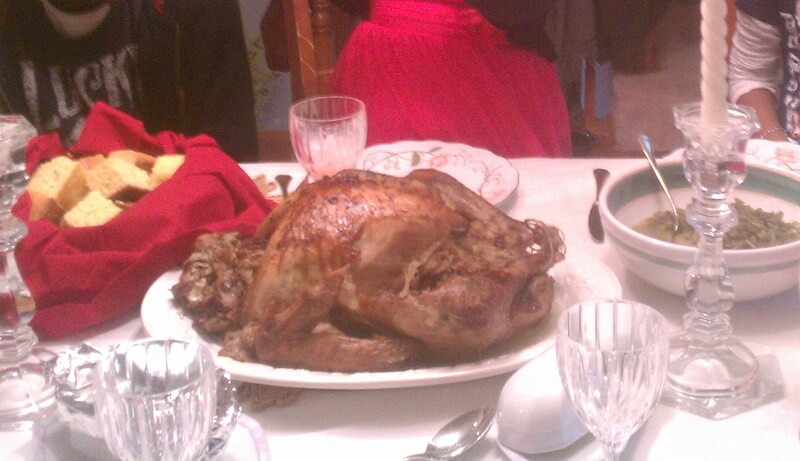 Instruct them to call 911 and about your emergency care plan in case of ingestion. Wear medical identification, such as MedicAlert, TempiMed or My ID Square. As kids grow, the preference will change on the kind of medical bracelet or jewelry and keeping it on! Many medical ID systems link to a profile that can be accessed by emergency personnel. This sounds scary, but someone else besides you should know about your allergies, where you keep meds (purse, pocket, or wallet) and what to do in case of an emergency. About 15 million Americans have food allergies. It is estimated that one out of every 13 kids has a food allergy. Food allergies can risk anaphylaxis– a severe fatal reaction that requires a emergency epinephrine auto-injector (epi-pen) to help save a life from a food allergy reaction. Top eight food allergies: milk, eggs, soy, wheat, peanuts, tree nuts, fish and shellfish. There are others such as sesame and fruits. All could be at risk for anaphylaxis. 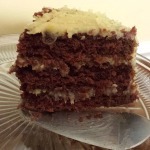 Gluten-free – some prefer for diet preferences. Gluten-free is a strict diet requirement for those with celiac disease where gluten can cause significant health problems and small intestine damage. This post is for general informational purposes only. It is not intended for medical advice, diagnosis or treatment. The product mentions are for informational purposes only. 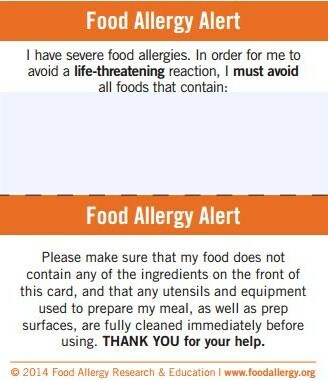 These are illustrated examples to inform you of the many options on the market for the food allergy community. Any guides that list foods as “safe” should be personally checked by you in the approaches that give you and your family the best protection, using your best informed judgment.